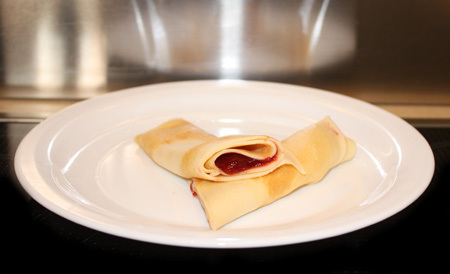 Make Crêpes in a Crêpe pan at med – high heat. Use a soup serving spoon to add the batter to the pan. 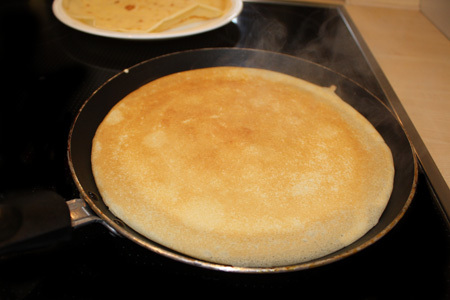 Move the pan quickly so that the batter spreads evenly over the pan. 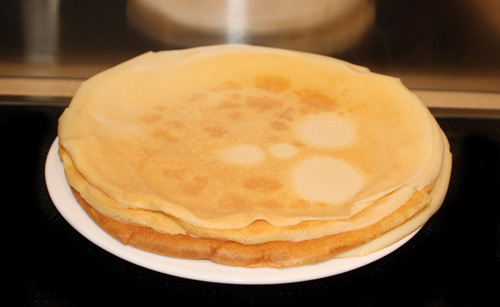 Turn the Crêpe when you see that the edges separate from the pan. Let the other side cook for just a little bit. Serve with mermalade, syrup, fruits, sugar or nutella.